I know.. I know, this post is totally in contradiction to the previous one. As I said before, I'm not an intense-hues and flashy-tones junkie; however, I'm always head over heels for soft, delicate pastel shades! It's really insane how pastels are really huge this season! Some people may think that wearing pastels is the 'safe' way to look stylish, but it turns out that it's not as simple as it looks like. There are some people who might not look their best in pastels; it needs the perfect styling to get it right. Styling an outfit with pale hues needs balancing, you don't want to go over the top by mixing all bright patterned pieces with pastel piece and ends up doesn't make the pastel stands out. You don't want to look unreasonably fat in pastel colored denim just because you choose the wrong shade. However, don't worry about these stuff because as long as you know how to balance the whole color proportion and blocking, it won't go wrong! In fact, pastels can give a strong image. 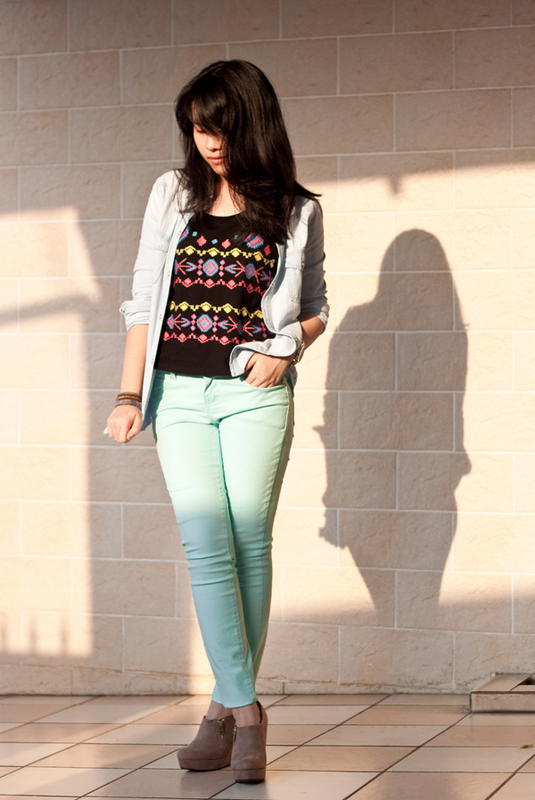 Wear a same pastel hue from head-to-toe to give a statement. 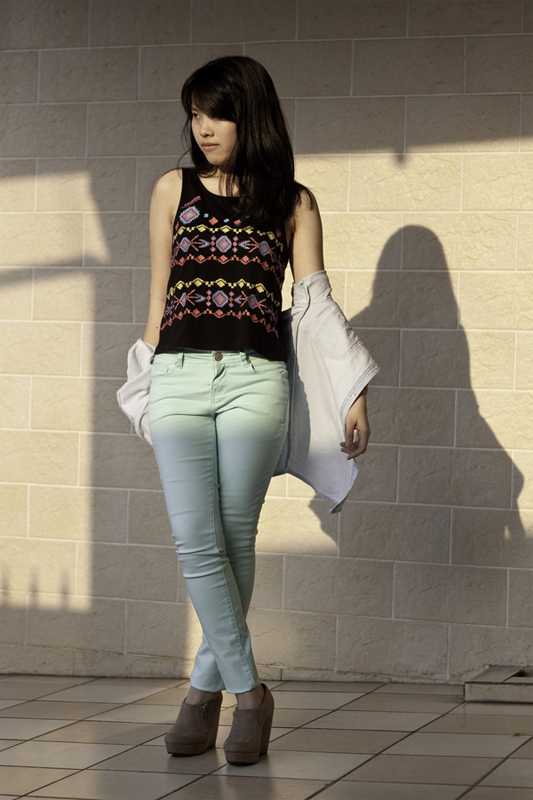 Mix 2 or 3 different pastel tones in one outfit, choose bigger piece in lighter color and smaller piece in deeper one. The point is, just try everything until you get the right balance! Among all pastel tones, my heart goes to mint. It is totally the color of the season; it's impossible to see pastel pieces in store without noticing all the minty colors, we always see it all over the internet and magazines. Mint or pastel green has been one of my best-loved colors and I use it not only in clothing, but also anything else including my bedroom walls! 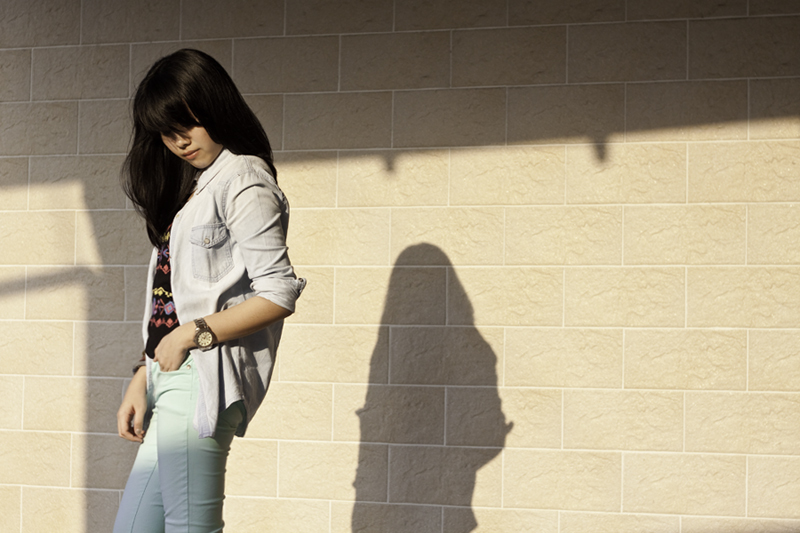 I mix minty jeans with denim shirt, I prefer the washed-out denim so that it looks pale. To give a statement, simply add a black tank with bold colored patterns as an inner. I personally assume that pastels is the color of feminines, that's why I'm going mint. It's not too girly and it matches my skin tone. 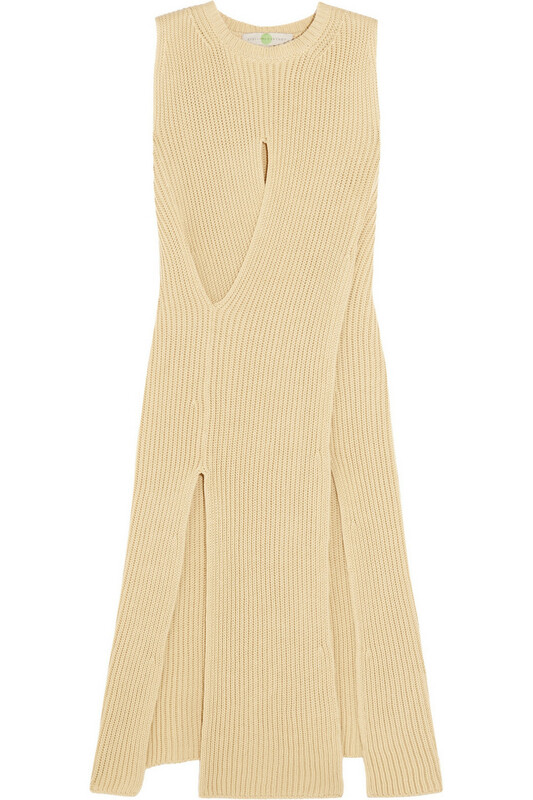 It's flattering yet daring. It's pretty much me. Great outfit, i love especially the top.! Love the color of ur denim! And love your tank too! Love your mint pants! And cute tank! 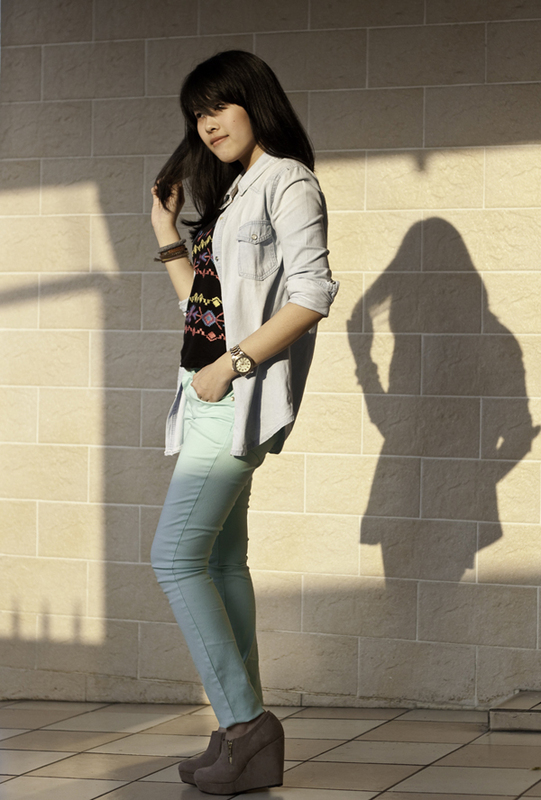 pastel sorbet coloured pants. love it. Great outfit you put together here.... brava! Those pastel jeans are so dreamy! I'm loving your blog girl, I'm your newest follower! I hope you'll follow me back and we can keep in touch. I love discovering new blogs! I so love the minty green pants! Pastels are so perfect for spring and you wear them well. Your top is so cute! Amazing blog btw, I'm your new follower, hope we can follow each other!